Weekend Update: Busy and Wonderful! It was, I won’t lie, an exhausting weekend here. Mumfest happened in a big way! I had a chance to connect with a lot of readers and potential readers, a few aspiring writers, old and new friends. Fantastic! I was lucky enough to be able to partner with a very talented artist, Noel McKelvey of Blissworks. (You can see some more of her lovely creations on her Facebook page.) Her artwork grabbed a lot of attention, and I’m thrilled to say she sold several of her lovely paintings! Yay, Noel! Added bonus, some of the folks who stopped to admire her art also took a moment to check out my books. So good for me, too, right? I sold a few, talked to lots of neat people and basically regained a little of my ambition, which can easily be lost when you sit in your office day after day writing words and wondering if anyone will ever read them. Added added bonus, theater friends also stopped by. I reconnected with several cast and members of Anne of Green Gables and A Christmas Carol. 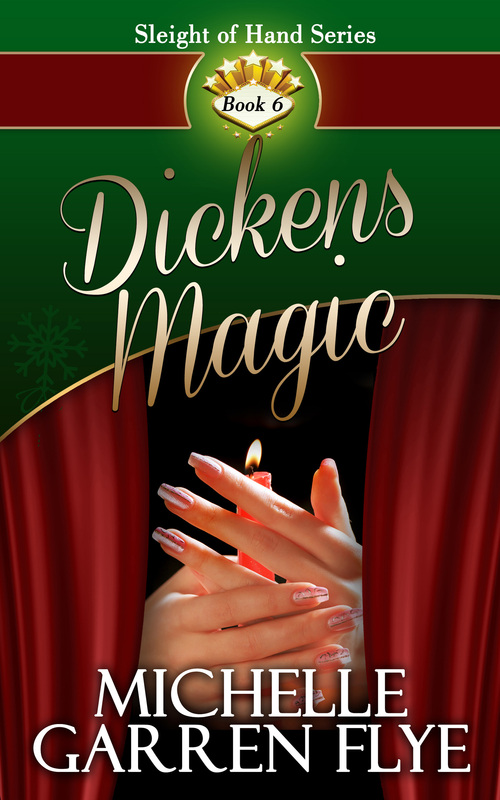 Which was timely since Dickens Magic, which is set in Rivertowne Players’ Masonic Theatre, comes out in just over two weeks!! Though I swear I never base any of my books on actual events in my life, I will say that those two plays gave me the experience I needed to write a story from the point-of-view of an actor/director. Sort of intensive research, I suppose! So, overall, a great experience. I hope “The Artist and the Author” will make another appearance at another location one day. Noel and I made a good team. Plus, we now have the banner and the tent! In other news, my virtual tour for Becoming Magic continues today. Check out my interview on Bookaholic where I discuss the difficulty of writing a romance with a #metoo theme—and why I wanted to do it in the first place. This is the time of year I look back on what I’ve accomplished and wonder—yet again—why do I bother writing romance novels? And yet…the truth of the matter is, I don’t really write for readers. I write for me. I even publish for me because I like seeing my writing in book form. It’s satisfying in a weird, probably narcissistic way. But it’d be great to have more readers. It’d even be great to make a living at this thing. To be a best-selling author with Hollywood fighting to turn my books into movies. To be able to donate money to charities and take care of my family and set my parents up in a nice house, preferably closer or at least be able to get to see them more—all that is the dream. However, as I close out my seventh year as a novelist with thirteen romance novels under my belt, I am faced with the near certainty that that’s not likely to happen. Let’s face it, the days of the reclusive novelist who can sit at home and write and send their work out to the publishing world to sell are over. Everyone writes books these days. Actors, politicians, psychiatrists, musicians, librarians, bloggers, YouTubers—I could go on, but you get the picture. The pipes are literally clogged with all the books all these non-writers are writing. How on earth is little ol’ non-flashy me gonna attract attention to my independently published romances with all those flashy covers “written” by all the flashy personalities taking up all that shelf space? So, I’m turning over a new leaf in the new year. I’m working out an actual marketing plan and exploring other avenues for publishing. I’m looking at what’s worked and what hasn’t and what I’ve never tried before. And I’m kicking it all off with a newsletter that launches on January 1. If you want to keep up with what’s happening with me, you might want to sign up. Here’s a link to do that: Email list sign up. Oh, and even if you don’t really care what’s happening with me and my career, you might want to sign up anyway since I’m giving away a $50 Amazon gift card to one lucky subscriber. Want that sign up link again? Here you go. Love and Magic for the Holidays! Xander Lawrence has made it on Broadway. He’s got everything in life he could possibly want, but then Kate, his best friend from high school, calls. His mother is in trouble, and she needs him. He puts his life on hold to return home to New Bern, N.C., where everyone still calls him Alex and the roles they know him best from were acted on the small community theater stage. At first, Kate Joiner just wants to help her old friend Alex get through a tough time. But then a robbery puts her life and the finances of the theater in jeopardy, and everything changes. She and Alex must work together to breathe new life into the old theater they both love. Can Charles Dickens’s A Christmas Carol make the difference they need? Or will it take a special kind of holiday magic? All the Sleight of Hand magicians take the stage with Kate and Alex to create a miracle and celebrate the magic of love. Join me on my virtual tour! Magic can't mend a broken spirit, but love just might. Sabrina Parker has spent her professional life creating unbelievable stunts and magical effects for movies and stage magicians. 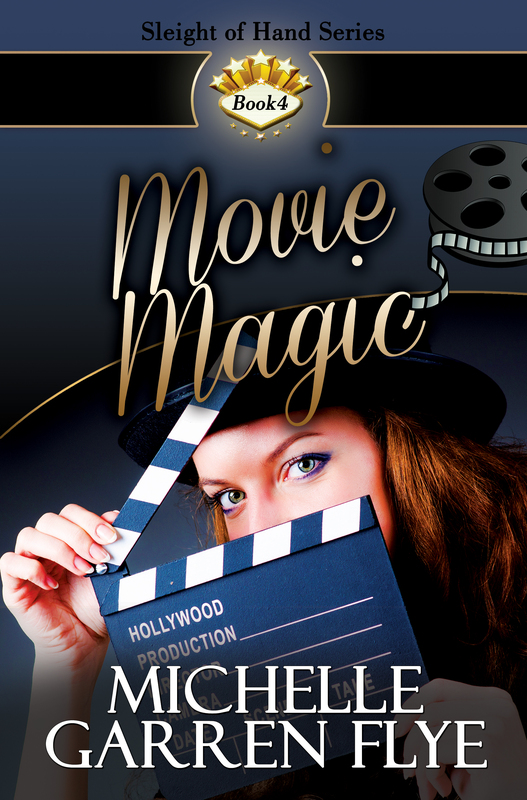 Now she needs some special magic to help her bring her movie to life. Her search leads her to the very unlikely stage of Walt Bryson, host of a long-running children’s television show in Beaufort, North Carolina. Walt isn’t terribly happy about taking Hollywood’s call. He’s never sought the same notoriety as his colleagues Ian Logan and Andre Hawke. But there’s something about the beautiful, levelheaded Ms. Parker, and when he reads her screenplay, he knows he wants to work with her. For the first time in years, he’s willing to put tragedy behind him and make real magic. 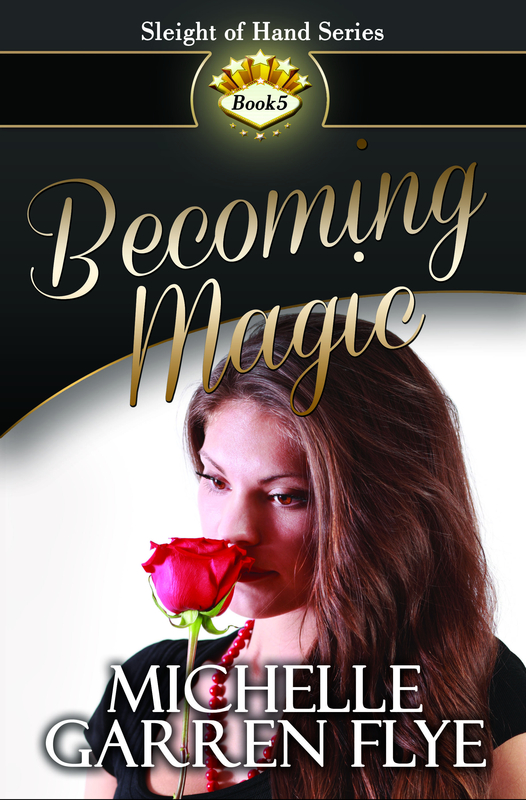 Can Walt and Sabrina use love as their guide or will their past mistakes haunt their future? RomCon Reader Rating of 8.45!!! She shook her head, her eyes caught by his. God, this man knew how to get under her skin. Under her skin, into her mind…as if he were determined to own her, as if her determination to hold him off was just fuel for his determination to have her. It was enough to make her grit her teeth against a wild desire to give into him. Cady Summers thinks she has all her ducks in a row: great house, beautiful family. Then her estranged twin sister Cam shows up…pregnant. Envious of her sister’s condition and lonely with a teenage daughter and a workaholic husband, Cady’s life no longer seems to have the perfect order she has always cherished. A recovering drug addict and absentee mother of two, Cam Taylor has never had any order in her life. Afraid of his reaction to her pregnancy, Cam flees the man she loves, seeking refuge in the only home she still knows. Can the love between the two sisters provide a healing balm for the wounds of her scarred marriage or will Cady seek solace in the arms of another man? Can the reunion with her sister give Cam the courage she needs to face the man she loves or will she let her past mistakes come between them? "What a journey! Where the Heart Lies is a romance with heart, heat, and a big ambitious story covering miles of emotional terrain. You'll be swept away." "Where the Heart Lies is an ambitious and engrossing tale, full of complexities of both character and plot. With her narrative skill and unforgiving wit, Flye had me alternately laughing and crying. Read this one on the beach, by the fire, in your bed… wherever. Just read it!" "...a brilliant stroke of amazing and entertaining story telling."